For the town on Crete, see Mythimna. "Methymna" redirects here. For the town of ancient Crete, see Methymna (Crete). 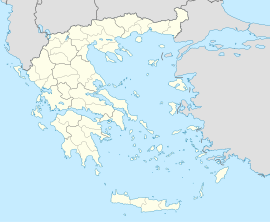 Mithymna (Greek pronunciation: [ˈmiθimna]) (Greek: Μήθυμνα, also sometimes spelled Methymna) is a town and former municipality on the island of Lesbos, North Aegean, Greece. Since the 2011 local government reform it is part of the municipality Lesbos, of which it is a municipal unit. Before 1919, its official name was Μόλυβος - Molyvos; that name dates back to the end of the Byzantine Era, but is still in common use today. The second most important town of the island, it is located NE of Eressos, N of Plomari and NW of Mytilene. The town (pop. 1,399 at 2011 census) is on the northern part of the island, just some 6 km north of the popular beach town of Petra. One of the most noticeable features of the town is the old Genoese fortress on the hill in the middle of the town. The municipal unit of Míthymna stretches eastward from the town along the northern part of the island; it is the island's smallest municipal unit in land area at 50.166 km². Its population was 2,255 at the 2011 census. The next largest towns in the municipal unit are Árgennos (pop. 240) and Sykaminéa (207). As Methymna, the city was once the prosperous second city of Lesbos, with a founding myth that identified an eponymous Methymna (Greek: Μήθυμνα), the daughter of Macar and married to the personification of Lesbos. Very little is known about Methymna in the Archaic period. 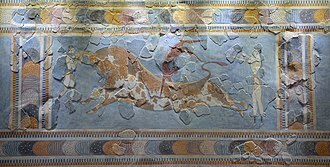 The story of Arion and the dolphin, which involves the Corinthian tyrant Periander and is evidently set at the turn of the 7th century BCE, suggests that Methymna was already a prominent city with far-reaching contacts across the Greek world at this period. Herodotus tells us that at some point in the Archaic period, Methymna enslaved the city of Arisba on Lesbos: this will have greatly increased the territory of Methymna, as well as giving it access to the fertile land around the Gulf of Kalloni. We are also told by a local historian, Myrsilus of Methymna, who wrote in the first half of the 3rd century BCE, that Methymna founded the city of Assos which was on the coast of Asia Minor opposite Methymna. However, another local historian, Hellanicus of Lesbos, writing in the mid-5th century BCE, instead simply says Assos was an Aeolian foundation and does not specify a particular city as its founder. This has led some historians to doubt Myrsilus, and instead suggest that this is an example of "local Methymnaean manipulation of the past", although this could equally be true of Hellanicus. Methymna had a long-standing rivalry with Mytilene, and during the Peloponnesian War it sided with Athens during the Mytilenaean revolt in 428 BCE when all the other cities of Lesbos sided with Mytilene. When the Athenians put down the revolt the following year, only Methymna was spared from having its territory turned into a cleruchy. After 427, Methymna and Chios were the only members of the Delian League to remain self-governing and exempt from tribute, indicating the privileged position Methymna held within the Athenian Empire. 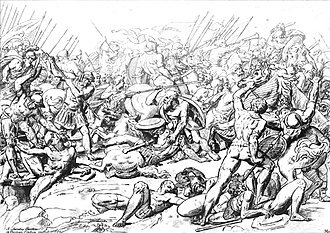 Methymna was briefly captured by the Spartans in summer 412, before quickly being retaken by the Athenians: in describing this episode, the historian Thucydides indicates that the Methymnaeans were much more inclined to side with Athens than Sparta. This was likewise the case in 411, when a group of Methymnaeans who were in exile at Cyme in Aeolis attempted to return to Methymna by force, but were rebuffed by the population. When the Spartan commander Kallikratidas besieged Methymna in 406, the city stayed loyal to its Athenian garrison and held out until it was betrayed by several traitors. Our knowledge of the history of Methymna in the 4th century is limited, but its prominence as a polis is firmly attested by the city's silver and bronze coinage. By at least the 340s BCE, the tyrant Kleommis had expelled the city's democrats and remained in power for the next decade. We do not know what happened to Kleommis after this, although it is likely that he was expelled when the island fell to Philip II's generals Parmenion and Attalus in 336. 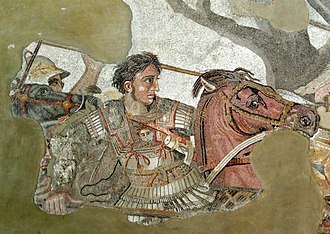 The political history of the following four years are poorly attested: we know that Lesbos changed hands several times between the Macedonian forces of Alexander the Great and the Persian forces of Memnon of Rhodes, that Memnon captured Methymna in 333 BCE, and that when Alexander's admiral Hegelochus recaptured Methymna in 332 BCE its tyrant was Aristonicus not Kleommis. However, it is not clear whether Aristonicus was made tyrant when the Persians recaptured Methymna in 335, or whether Kleommis was re-installed and Aristonicus only made tyrant in 333. 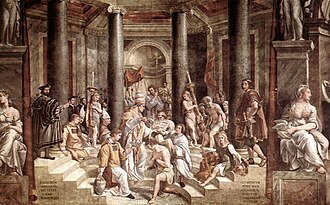 Whatever the case, in 332 Alexander gave Aristonicus over to the newly restored Methymnaean democracy to try, and he was found guilty and put to death by torture. In c. 295 BCE, Methymna struck silver drachms for King Lysimachus, indicating that the city was part of his kingdom at this time. However, by the 250s BCE at the latest, Methymna had come under the sway of the Ptolemaic Kingdom. 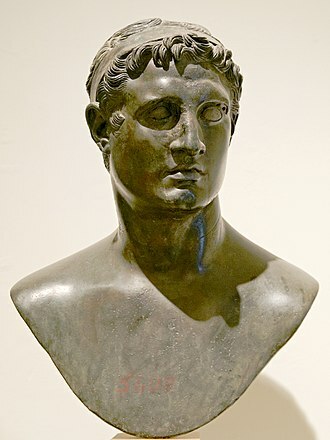 During this period, a festival in honour of the Ptolemies, the Ptolemaia, was instituted, and public documents produced by the city were dated by the regnal years of the Ptolemies. Worship of Sarapis, an Egyptian cult patronized by the Ptolemies, was probably introduced to Methymna at this period, and remained an important part of the city's life for several centuries. In the 2nd century BCE Methymna increasingly pursued a policy of seeking closer ties with the emerging power of Rome. Methymna remained loyal to Rome during the Macedonian War, and in 167 BCE it was rewarded when the Romans punished neighbouring Antissa for disloyalty and transferred its territory to Methymna. The territory of Methymna was ravaged by King Prusias II of Bithynia along with several other cities in this region in ca. 156 BCE, but the Romans later compelled Prusias to pay reparations of 100 talents for the damage done. 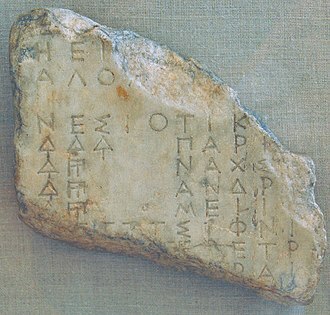 In 129 BCE, an inscription from Methymna shows that the city formed a formal alliance with Rome. A dedication to the Galatian princess Adobogiona (fl. c. 80 - 50 BCE), who was the mistress of Mithridates VI of Pontus, a long-standing enemy of Rome, may indicate a cooling of relations between Methymna or Rome or simply political expediency. Methymna gained a particular reputation among Romans for viticulture during the Imperial period. Virgil speaks of the vines of Methymna as the best and most numerous on Lesbos, while Ovid invokes them as an example of something which is proverbially numerous and bountiful. The distinctive strong taste of Methymnaean wine is mentioned by Silius Italicus, and Propertius uses this as a point of reference when describing another Greek wine. When Virgil and Silius wished to indicate the exceptional quality of Phalernian wine, Methymnaean wine is among the vintages which they say it surpasses. We also learn from Horace that Methymnaean grapes were equally prized for the excellent vinegar which could be produced from them and which he describes accompanying a sumptuous eel dish. The medical writer Galen, who was a native of nearby Pergamon, considered all the wines of Lesbos to be excellent, but ranked that of Methymna the first in quality, that of Eresos second, and that of Mytilene third. In the novel Daphnis and Chloe, thought to be by the Mytilenaean aristocrat Longus and set in the region of Lesbos between Methymna and Mytilene, the vine harvest is the most important time of the agricultural year, and the Mytilenaean owner of the land in this region times his annual visit to coincide with the end of this harvest when the year's profit can be established. The first attested bishop of Methymna was Christodoros in 520 CE. In 640, Methymna was mentioned in the Ecthesis, pseudographically attributed to Epiphanius of Salamis, as an autocephalous archdiocese, and around 1084, it was made a metropolitan see under Alexius I Comnenus. The Fourth Crusade brought Latin control, on the strength of which the Roman Catholic Church maintains a purely titular see of Methymna; there were 40 Roman Catholics in 1908. In 840 the city was plundered by Cretan Arabs and many of the inhabitants sold into slavery. The fortifications of Methymna were strengthened following this attack, and again at the end of the 11th century, as we learn from a building inscription dating to 1084/5. A few years later in 1089/90 these fortifications helped the inhabitants of Methymna successfully repel an attack by Emir Tzachas of Smyrna. These fortifications again kept Methymna safe when the Genoese Lord of Phokaia, Domenico Cattaneo, seized the rest of Lesbos in 1335, but was unable to take Methymna or the equally well-fortified town of Eresos. Along with the rest of Lesbos, Methymna became a possession of the Gattelusi family in 1355. Methymna repelled a Turkish invasion force in 1450, but its defences were over-powered in a second invasion in 1458 when the admiral Ismaelos seize the city with a force of 150 ships. Using Methymna as a base, the whole island was gradually brought under Turkish control by September 1462. As Molyvos (Molova) under the Ottoman Empire, the city was a kaza of the sanjak of Metelin in the vilayet of Rhodes. 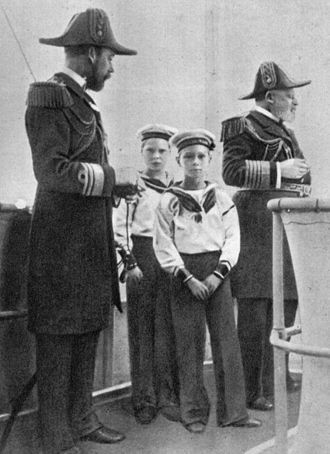 After the defeat of the Ottomans in the First Balkan War (1912), Greece liberated Lesbos (Treaty of London, 1914). The province of Mithymna (Greek: Επαρχία Μήθυμνας) was one of the provinces of the Lesbos Prefecture. Its territory corresponded with that of the current municipal units Mithymna, Agia Paraskevi, Eresos-Antissa, Kalloni and Petra. It was abolished in 2006. Echecratides, Peripatetic philosopher and friend of Aristotle. Myrsilus, local historian and paradoxographer. 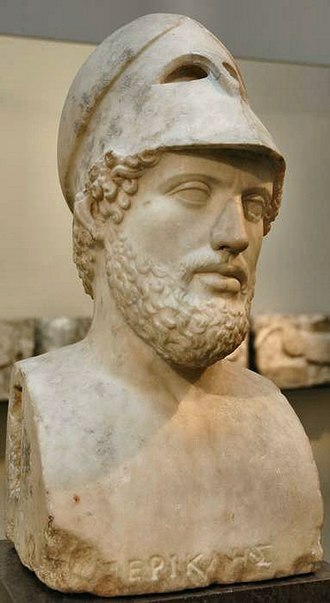 Hermeias, author of a history of the Sicilian tyrant Dionysus I.
Kratinos, cithara player at the court of Alexander the Great. Theoctiste of Lesbos, saint of the Eastern Orthodox Church. Argyris Eftaliotis, poet and translator. ^ Herodotus 1.151.2, cf. Strabo 13.1.21. Pliny the Elder, Historia Naturalis 5.139 instead says that Arisba was destroyed by earthquake. ^ Myrsilos FGrHist 477 F 17 = Strabo 13.1.58. ^ Hellanicus FGrHist 4 F 160 = Strabo 13.1.58. ^ C. Constantakopoulou, Dance of the Islands (2007) 240 n. 51. A further complication is that Alexander Polyhistor FGrHist 273 F 96 = Stephanus of Byzantium s.v. Ἀσσός says that Assos was a colony of Mytilene. However, the editor of Stephanus, Augustus Meineke, commenting on this passage believed this was an error in the manuscript, and thought it originally said Assos was a colony of Methymna. ^ Thucydides 3.50.2, Diodorus Siculus 12.55.10. ^ Thucydides 6.85.2, 7.57.5, 8.100.5. ^ Xenophon, Hellenica 1.6.12-15, Diodorus Siculus 13.76.5-6. ^ "ancient coins of Lesbos, Methymna". AsiaMinorCoins.com. ^ Isocrates, Epistles 7.8-9 (ca. 346/5? ), Theopompus FGrHist 115 F 227 = Athenaeus 10.442f-443a, IG II2 284 + Supplementum Epigraphicum Graecum 54.132. ^ P. J. Rhodes and R. Osborne, Greek Historical Inscriptions, 404–323 BC (2003) 416–17. ^ Diodorus Siculus 17.29.2, Arrian, Anabasis 3.2.4. ^ Capture at Chios: Arrian, Anabasis 3.2.4, Curtius 4.5.19. Execution: Curtius 4.8.11. ^ Sylloge Nummorum Graecorum Kayhan 4. ^ P. Brun, 'Les Lagides à Lesbos: essai de chronologie' Zeitschrift für Papyrologie und Epigraphik 85 (1991) 99-113 has suggested an earlier date in the 270s, but this has not been accepted by scholars: Ph. Gauthier, Bulletin épigraphique (1992) no. 343. ^ IG XII (2) 498 (ca. 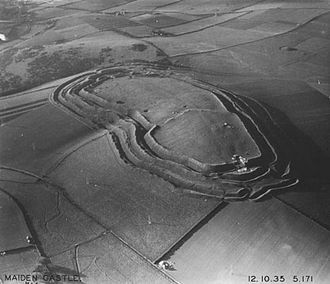 221-205). 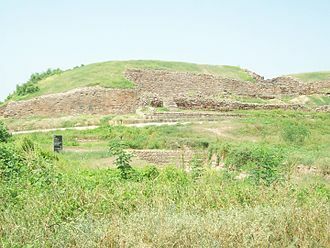 ^ List of Sarapiastai: IG XII (2) 511 (1st century BC). ^ Livy 45.31.13-14, Pliny the Elder, Historia Naturalis 5.139, H. J. Mason, 'The end of Antissa' American Journal of Philology 116.3 (1995) 399-410. ^ IG XII (2) 510. ^ IG XII (2) 516. ^ Virgil, Georgics 2.89-90, Ovid, Ars Amatoria 1.57-9. ^ Silius Italicus, Punica 7.209-11, Propertius 4.8.38. ^ Virgil, Georgics 2.89ff, Silius Italicus, Punica 7.209-11. ^ Galen 10.832, 13.405, 13.659 Kühn. 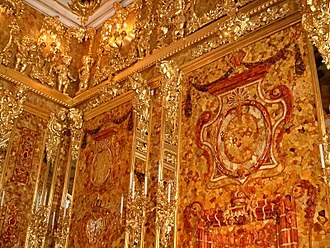 At 14.28-29 Kühn he instead places Eresian wine above that of Methymna. ^ Longus, Daphnis and Chloe. ^ Patrologia Latina 63 cols. 483-5, A. Kaldellis and S. Efthymiadis, The Prosopography of Byzantine Lesbos 284-1355 AD (2010) no. 10. ^ E. Malamut, Les îles de l'Empire byzantin: VIIIe-XIIe siècles (1988) 101. ^ A. Conze, Reise auf der Insel Lesbos (1865) 21-4. ^ Anna Komnena, Alexiad, vol. 2, p. 110f. ^ Tabula Imperii Byzantini 10 s.v. Methymna, p. 229. ^ Theophrastus, De Signis 4. ^ Stephanus of Byzantium s.v. Μήθυμνα. ^ Myrsilos von Methymna, FGrHist 477. ^ Hermeias of Methymna, Brill's New Jacoby 558. ^ Chares of Mytilene, FGrHist 125 F 4. ^ Theolytus of Methymna, Brill's New Jacoby 478. ^ De S. Theoctiste Lesbia in insula Paro, AASS Nov. IV 221-33. Wikimedia Commons has media related to Mithymna. Assos, known as Behramkale or for short Behram, is a small historically rich town in the Ayvacık district of the Çanakkale Province, Turkey. After leaving the Platonic Academy in Athens, Aristotle went to Assos, where he was welcomed by King Hermias, Aristotle married Pythias, the adopted daughter of Hermias. In the Academy of Assos, Aristotle became a chief to a group of philosophers, when the Persians attacked Assos, King Hermias was caught and put to death. Aristotle fled to Macedonia, which was ruled by his friend King Philip II of Macedon, there, he tutored Philips son, Alexander the Great. There is a statue of Aristotle at the town entrance. The Acts of the Apostles refers to visits by Luke the Evangelist, Assos is an Aegean-coast seaside retreat amid ancient ruins. Though the town is officially named Behramkale, most people call it by its ancient name of Assos. 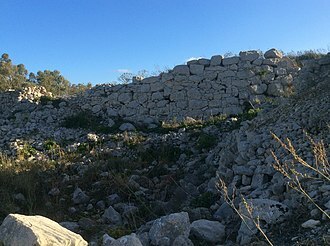 The town is on the side of Biga Peninsula, better known by its ancient name. Assos is located on the coast of the Adramyttian Gulf, much of the surrounding area is visible from the ancient Temple of Athena, built on top of a trachyte crag. The view from this temple on a clear day extends to nearby Lesbos in the south, Pergamum in the southeast, to the north, the Tuzla River flows. To the northwest, two massive Hellenic columns still mark the gate to the city, Assos had the only good harbour on the 80 kilometres of the north coast of the Adramyttian Gulf. This made Assos a key shipping station through the Troad, the city was founded from 1000 to 900 BC by Aeolian colonists from Lesbos, who specifically are said to have come from Methymna. The settlers built a Doric Temple to Athena on top of the crag in 530 BC, from this temple Hermias of Atarneus, a student of Plato, ruled Assos, the Troad and Lesbos for a period of time, under which the city experienced its greatest prosperity. 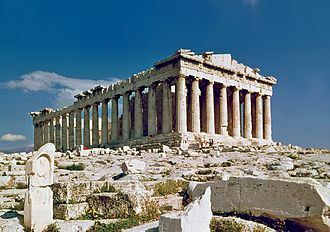 Under his rule, he encouraged philosophers to move to the city, as part of this, in 348 BC Aristotle came here and married King Hermeiass niece, before leaving for Lesbos three years in 345 BC. This golden period of Assos ended several years when the Persians arrived, the Persians were driven out by Alexander the Great in 334 BC. Hellanicus of Lesbos, called Hellanicus of Mytilene was an ancient Greek logographer who flourished during the latter half of the 5th century BC. He was born in Mytilene on the isle of Lesbos in 490 BC and is reputed to have lived to the age of 85. According to the Suda, he lived for time at the court of one of the kings of Macedon, and died at Perperene. He was one of the most prolific of early historians and his many works, though now lost, were very influential. He was cited by a number of authors, who thereby preserved many fragments of his works, the most recent collection of which is by José J. Caerols Pérez. Hellanicus authored works of chronology and history, particularly concerning Attica and his influence on the historiography of Athens was considerable, lasting until the time of Eratosthenes. He transcended the local limits of the older logographers, and was not content to merely repeat the traditions that had gained general acceptance through the poets. He tried to record the traditions as they were locally current, but his materials were insufficient and he often had to seek recourse to the older methods. Some thirty works are attributed to him, chronological and episodical, chiefly genealogical, with short notices of events from the times of Phoroneus, primordial king in Peloponnesus. Troica and Persica, histories of Troy and Persia, about the daughter of the Titan Atlas. 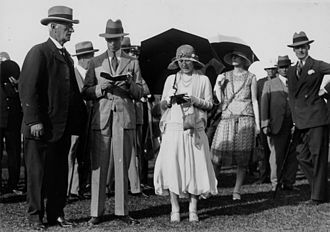 Some of his text may have come from a poem which Carl Robert called Atlantis. His work includes the first mention of the founding of Rome by the Trojans. He supported the idea that a group of Pelasgians lay behind the origins of the Etruscans. The latter idea, from Phoronis, influenced Dionysius of Halicarnassus, fragments in Karl Wilhelm Ludwig Müller, Fragmenta historicorum Graecorum, Volume I and Volume ΙV. Ludwig Preller, De Hellanico Lesbio historico Mure, History of Greek Literature, H Kullmer, Hellanikos in Jahrbücher für klass. Philologie, which contains new edition and arrangement of fragments, CF Lehmann-Haupt, Herodot, Thukydides, in Klio vi.127 sqq. JB Bury, Ancient Greek Historians, pp.27 sqq, bearzot - F. Landucci, Storie di Atene, storia dei Greci. Temple of Athena in Assos, with the nearby island of Lesbos at left. A fragmenty of Atlantis by Hellanicus (Papyrus Oxyrhyncus 1084, early 2nd century).